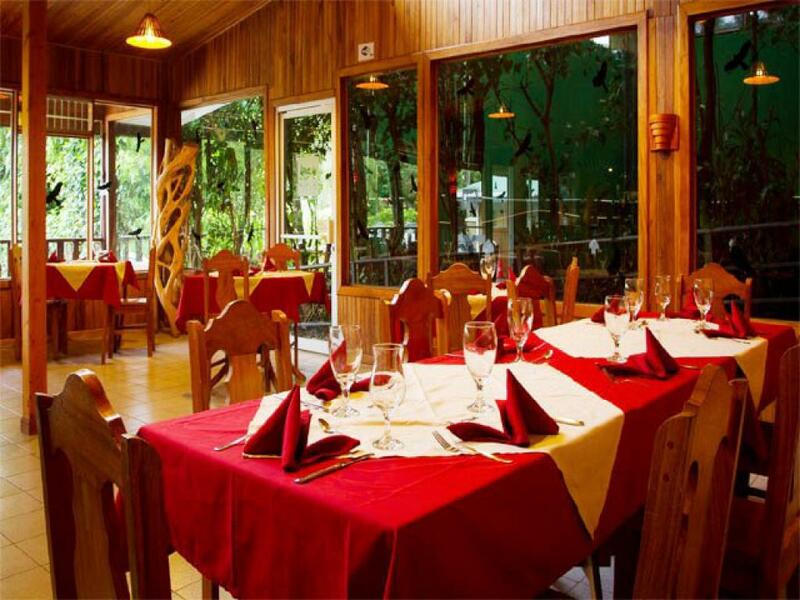 Monteverde Country Lodge, Monteverde Costa Rica is a quiet, comfortable hotel located near the Ecological Sanctuary and the Montevede Butterfly Gardens in an area called Cerro Plano: an ideal location half way between the Monteverde Cloud Forest reserve and the main village of the Monteverde area (Santa Elena), in close proximity to several restaurants and activities. Monteverde Country Lodge has 16 rooms in total. 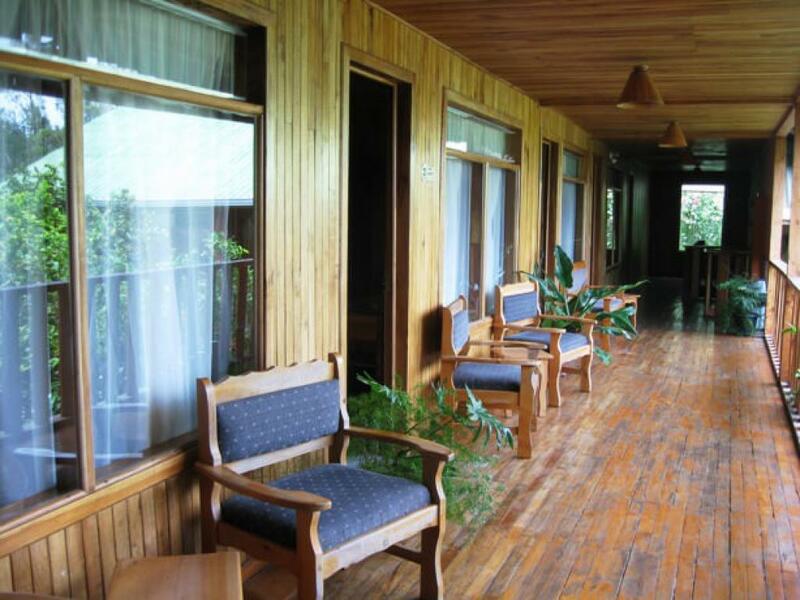 The rooms are made with lovely rustic wood and are comfortable and clean. They overlook a square with a victorian fountain and a small pretty garden. 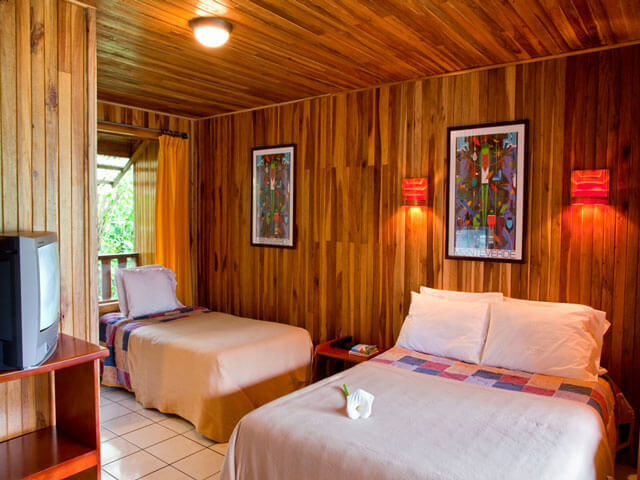 All rooms have private bathrooms with hot water. Rooms have cable TV, WIFI and safety boxes. 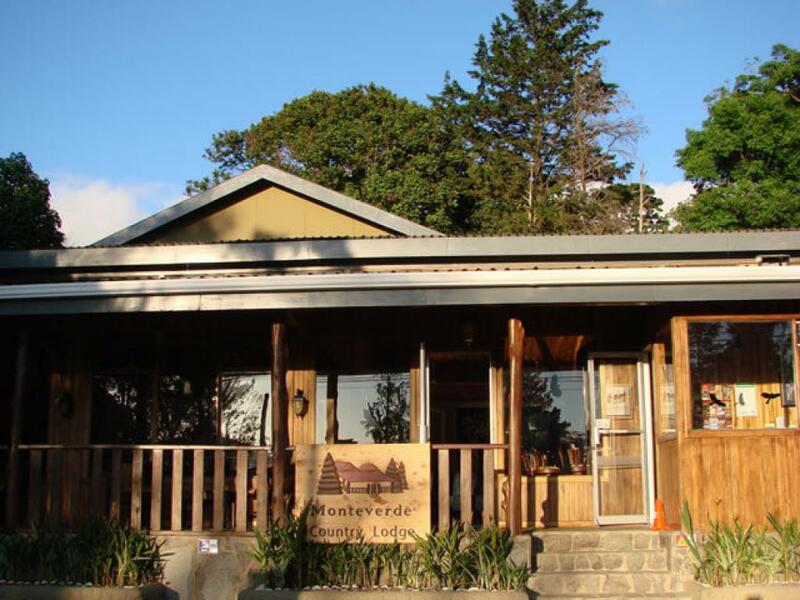 The Monteverde Country Lodge has a varied menu with a bar and guests can also use the facilities of the Hotel Poco a Poco (under the same management). 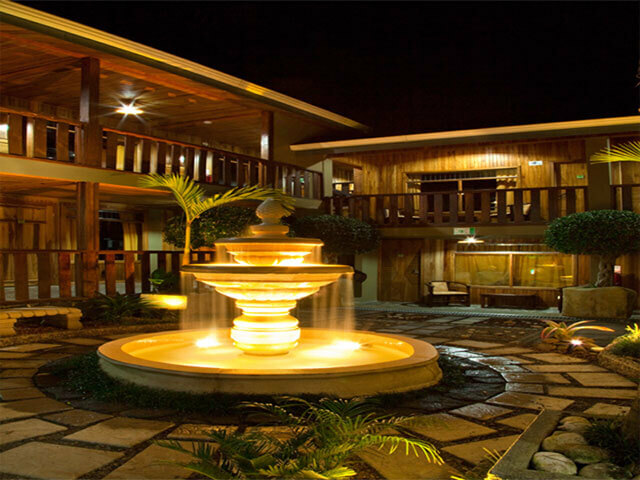 Hotel Poco a Poco has a restuarant and a swimming pool with bar. 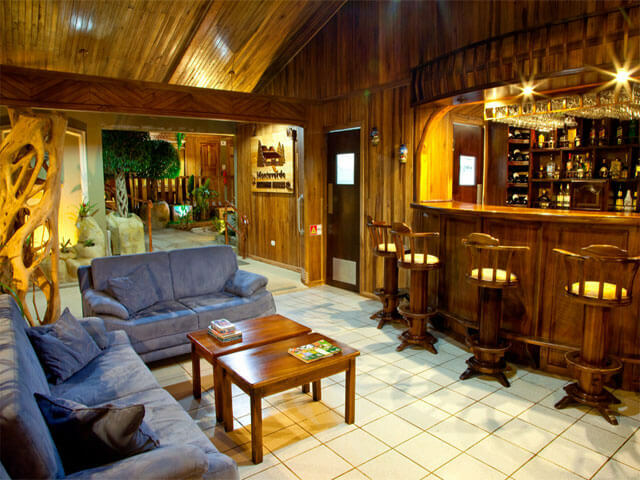 It is located about 10 minutes drive from Monteverde Country Lodge.